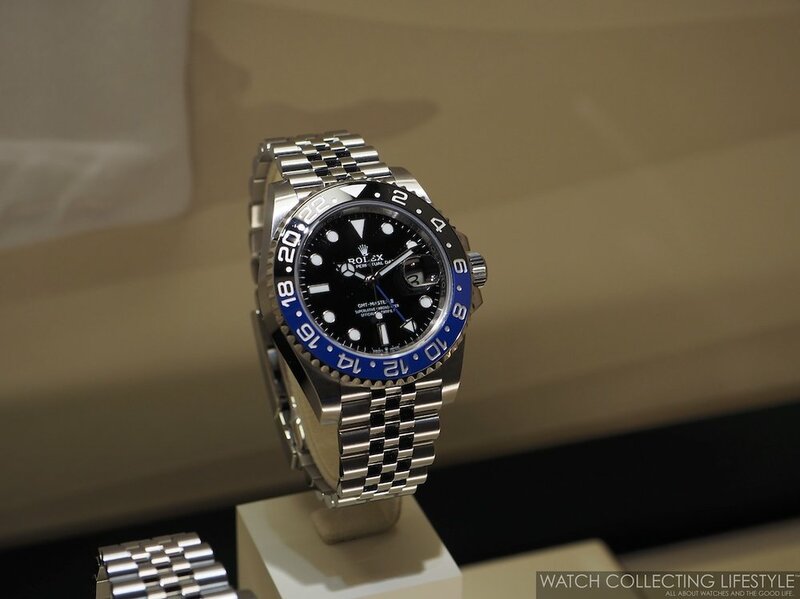 As soon as the doors officially opened for the press at 12pm Basel Time, we headed straight to Rolex to see the novelties for Baselworld 2019. A weak year compared to the incredible lineup presented last year. With novelties across different collections, the main focus centered around the professional models as it is the norm. The new professional models include a White Gold Yach-Master 42 mm ref. 226659 with black dial, black ceramic bezel and Oysterflex strap, a Rolesor —two-tone with yellow gold— Sea-Dweller ref. 126603 equipped with calibre 3235, a new stainless steel GMT Master II ‘Batman’ ref. 126710BLNR now on jubilee bracelet and powered by calibre 3285—oyster bracelet model now officially discontinued—, a new Yacht-Master 40 Everose Rolesor ref. 126621 with black dial , a new white gold GMT Master II ‘Pepsi’ with Meteorite dial ref. 126719BLRO and a Cosmograph Daytona with Ouvrage dial and Diamond-set bezel. The Submariner ref. 116610LV Hulk and the white gold GMT Master II ‘Pepsi’ with blue dial ref. 126719BLRO are not discontinued. Sea-Dweller ref. 126603 Two-Tone. CHF 15,300 —approx. $15,500 USD. Yacht-Master 42 ref. 226659 18K White Gold with Oysterflex. CHF 26,500 —approx. $27,000 USD. GMT Master II ‘Batman’ ref. 126710BLNR Jubilee bracelet. CHF 8,800 —same price as the Pepsi. 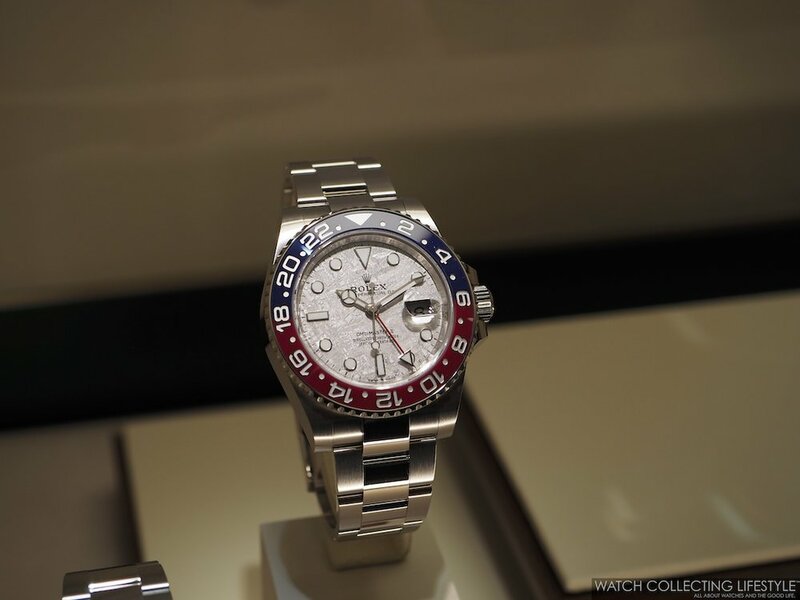 GMT Master II ‘Pepsi’ 18K White Gold with Meteorite Dial ref. 126719BLRO. CHF 36,600 —approx. $37,000 USD. Yacht-Master 40 Everose Rolesor ref. 126621 Black Dial. CHF 13,600 —approx. $13,900 USD. Across the Datejust, Day-Date and Oyster Perpetual collections new dials can be found. The ones that stand out are the Day-Date with Turquoise Dial, a Day-Date with forest green dial and a green Roman numeral dial for the Datejust 31. Prices TBC. 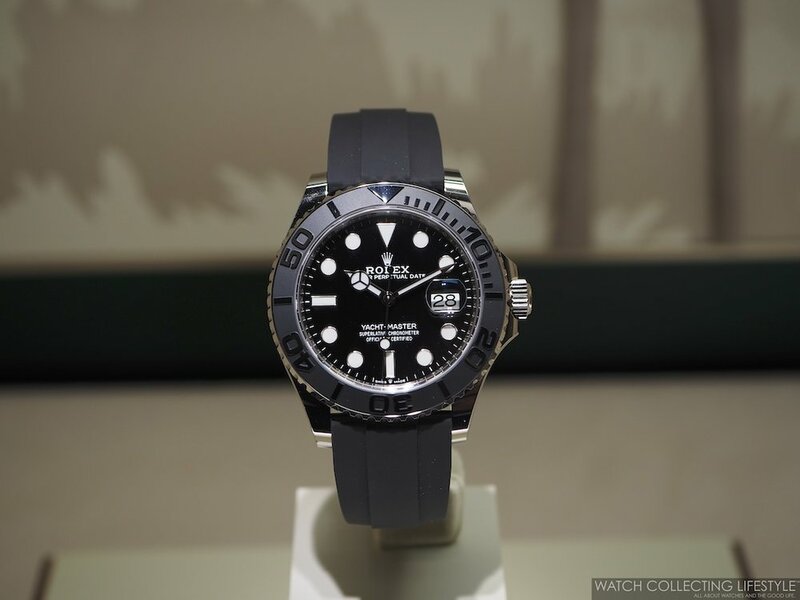 Posted on March 20, 2019 by Editor & Publisher and filed under Baselworld, Baselworld 2019, Rolex and tagged 2019 Rolex Sea-Dweller ref. 126603 Two-Tone Rolex Sea-Dweller ref. 126603 Two-Tone Yacht-Master 42 ref. 226659 18K White Gold with Oysterflex GMT Master II ‘Batman’ ref. 126710BLNR Jubilee bracelet GMT Master II ‘Pepsi’ 18K White Gold with Meteorite Dial ref. 126719BLRO Yacht-Master 40 Everose Rolesor ref. 126621 Black Dial Cosmograph Daytona Ouvrage Dial and Diamond-set Bezel Mainstream Brands Baselworld Baselworld 2019 Most Popular.